The word ‘rogue’ conjures up certain imagery. Say, when the director of CIA whispers “so and so has gone rogue,” Jason Bourne, at least to this writer, jumps immediately to mind. 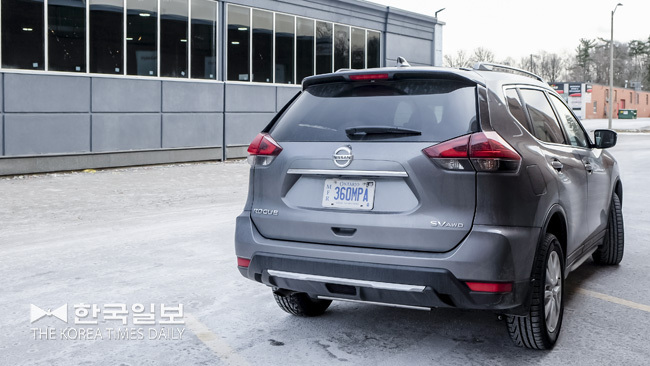 Now, the Nissan Rogue, a more or less stealthy mainstream compact crossover utility vehicle, may not seem all that ‘roguish’ at first glance. Then again, what better vehicle than this for a rogue agent to be driving? With half the personnel of CIA on his tail, would Jason Bourne drive down a Washington DC boulevard in a Bugatti Chiron, sticking out like bikini-clad Kim Kardashian on a Thanksgiving float full of Amish ladies? Exactly! He’ll be in a Nissan Rogue, blending in with the traffic and getting safely away. This writer has no intention of disparaging the Rogue on its looks. Still, it would not be inaccurate to say the vehicle’s exterior rarely initiates neck-snapping double takes. However, there’s no arguing the Rogue is a tried and true CUV that boasts everyday usable power, economy, practicality and reliability. The appreciative Canadian consumers made this vehicle the fourth best-selling SUV/CUV of 2018. Relatively inexpensive, the base S model with front-wheel-drive (FWD) starts from $26,798 before taxes and other mandatory fees. Add about two grand for the AWD option. The mid-level SV starts at $29,098 and the top-of-the-line SL Platinum demands $37,398. 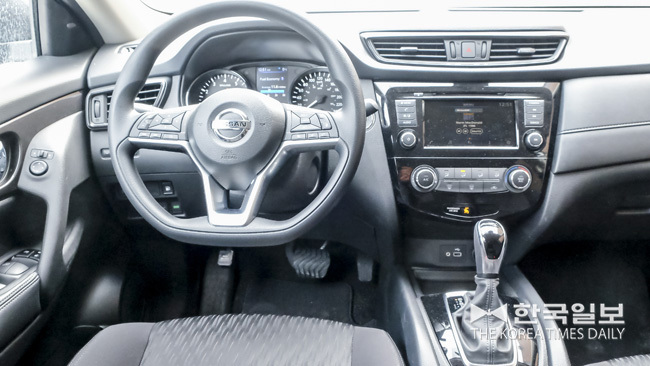 Among other goodies, the top trim comes available with Nissan’s much touted semi-autonomous driver assist system called ‘Pro Pilot.’ Push the button on the steering wheel and the Rogue keeps pace with the car in front, as well as staying inside its lane. 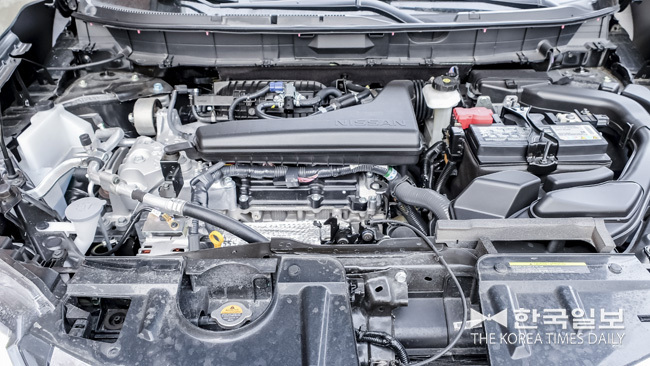 In Canada, only available engine happens to be the 2.5 litre naturally aspirated four-cylinder good for maximum 170 horsepower and 175 lb-ft of torque. Nissan has used this engine long enough to have most of the bugs worked out. The power numbers do nothing to stir the soul and make one roll down the window and shout challenges to Corvette drivers. That said the Rogue gets off the line with surprising alacrity and gets up to speed in relative hurry. Disappointing, however, is the CVT that feels like CVT. It does okay sprinting from standstill, but in situations where it needs to slow down first and then accelerate hard again, the dreaded elastic effect can be clearly felt. The test-vehicle provided to this writer is the mid-level SV with AWD. With $135 paint as the only option, the starting price is relatively modest $31,298. Even in this trim, standard equipments include remote starter, keyless entry and push-button ignition, heated front seats, satellite radio, Apple Carplay and Android Auto, blind-side monitoring, forward collision mitigation, rear-view camera, a decent audio with base-booster, etc. Such bonuses as panoramic sunroof, leather seats, auto climate, paddle-shifter, premium audio and so on would’ve been nice, but they are not really missed. The interior layout is clean and well-executed, but the switches for Sport and Eco drive modes should be located near the gear lever, not hide under the left side of dash. The Rogue is probably due for a complete makeover. As it is, the design is aging but not to the degree of being irrelevant. It is still a handsome vehicle, if somewhat hard to pick out of a crowd. The Rogue is a family utility vehicle foremost. So, don’t expect it to out handle Porsche Macan. 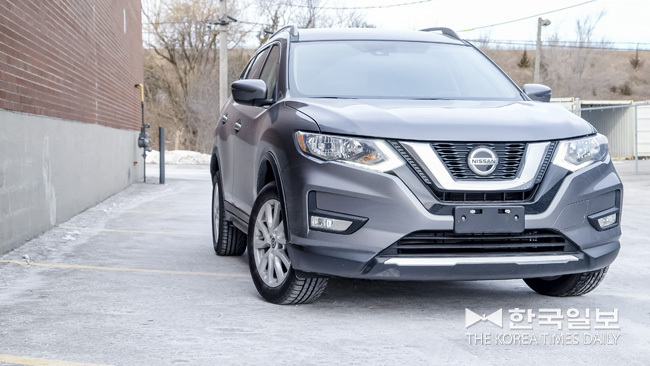 Taking fast corners with confidence is not its forte, but the Rogue goes over small bumps and potholes without upsetting its passengers and provides room for four adults to ride comfortably together for long drives. Official fuel mileage is also good with 9.6 litres of regular gas per 100 km in city and 7.5 litres on highway.